Hello, how's your stocking? Your Stuff It Stocking is just about ready for Santa. We've been through a lot. 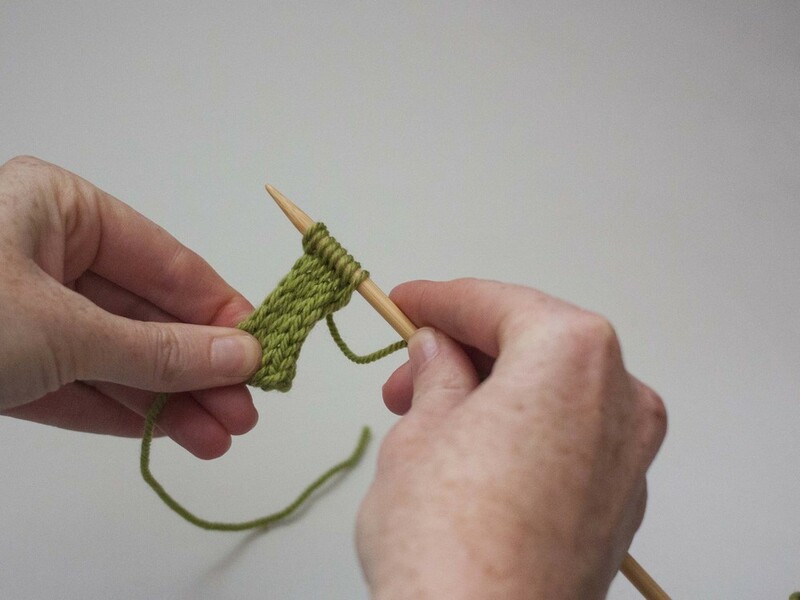 We started with a hem, knit the body, turned the heel and knit the foot, then we went down the toe and learned the Kitchener Stitch. Today we'll knit the hang loop as an i-cord, sew in the ends and block our Christmas stockings so they're perfect for filling! To make an i-cord is kind of strange but follow along and let's go! You'll only be using 2 needles for this part. With Color A, cast on 8 stitches. 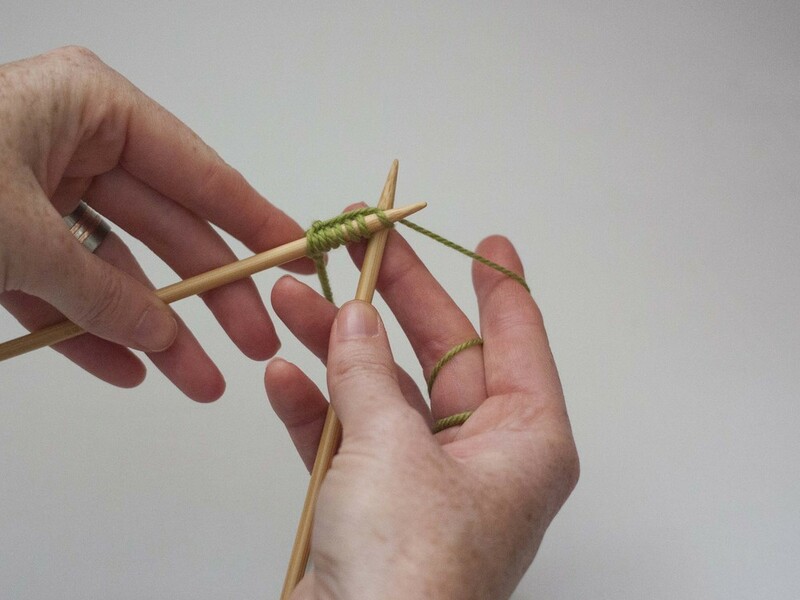 Then slide those stitches to the other end of the needle. Don't turn your work! Just slide the stitches to the other end. 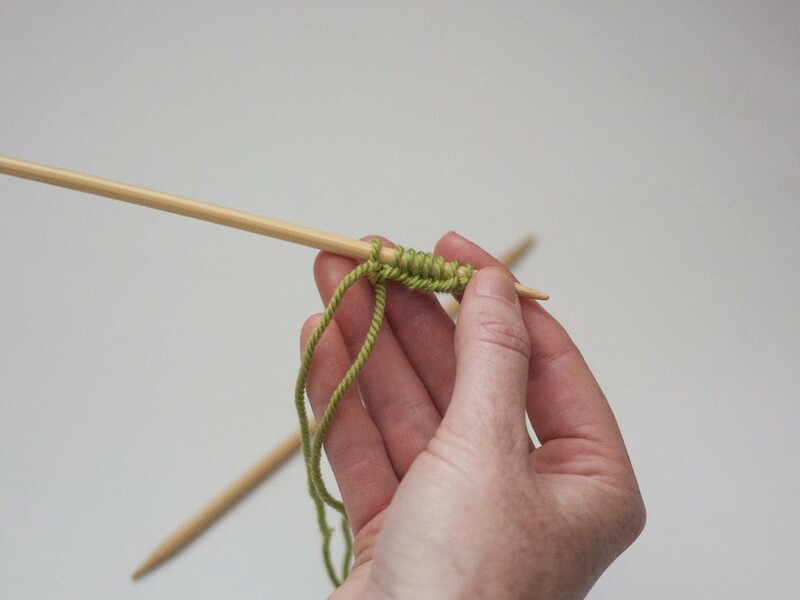 Pull your knitting yarn across the back of your work and knit in to the first stitch. It seems odd but it's ok. Yes, there's a big thread across the back but that's ok. I promise! 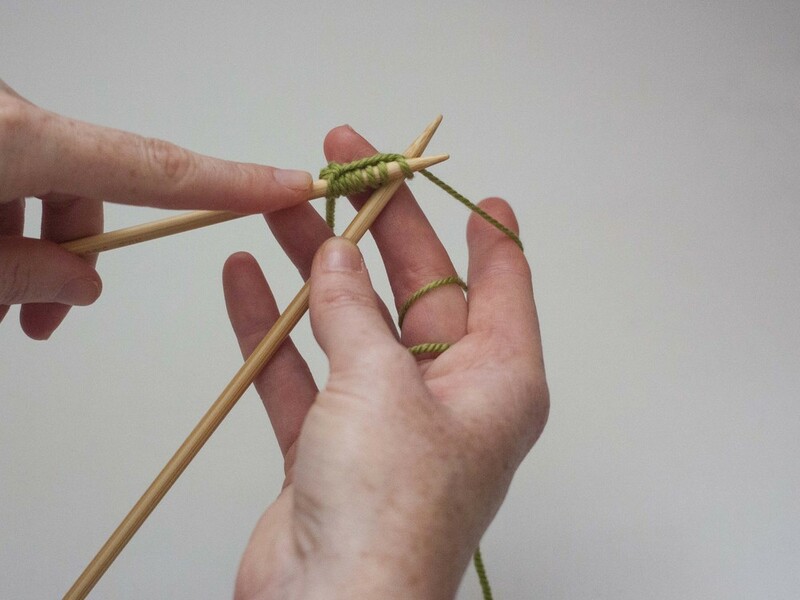 Knit across those stitches. Don't turn. When you finish slide the stitches to the other end of the needle and keep going in this manner. If you peek on the back of the work you'll see there's some long loops. Gently tug down on the bottom of the work. And those extra loops will tighten up. Work in i-cord until piece measures 5". Bind off the i-cord as you normally would. Attach the hang loop to the top of the stocking at the same edge as the heel. So there you go! Your very own hand-knitted Christmas stocking! Now let's finish it by blocking. Blocking helps relax and even out your knitting stitches. It just refines the finished piece to help it looks as refined as possible. To block your Wooly Worsted stocking you'll need a bowl, some wool wash (I like Soak) and two large towels. 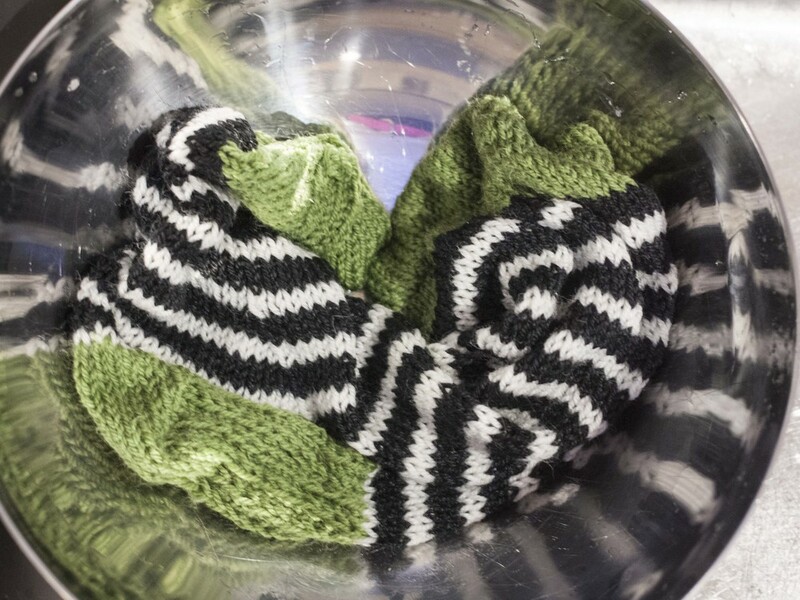 Add your stocking and a few drops of wool wash to the bowl and fill with cool water. Submerge your stocking to and gently swish it around to release any air bubbles. You won't need to worry about the colors of Wooly Worsted yarn running or bleeding because Wooly Worsted is specially treated to be washed. Your water should remain clear. Let the stocking soak for about 15-20 minutes. Drain the water from your bowl. Do not squeeze or wring your stocking. It looks pretty pathetic at this point but that's ok. It will recover! Carefully lay your stocking out on a towel. Be sure not to pull or tug on one part of your stocking. Fold your towel over your stocking. I folded in thirds. Then roll it on up! 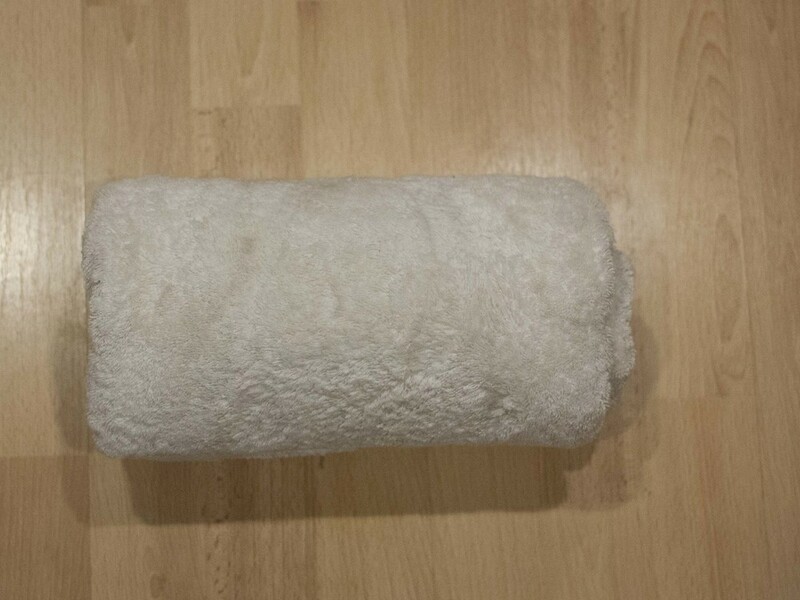 Press and squeeze the towel as you roll to get as much water out of the stocking as you can. Unroll your towel and check out your stocking. Lay it flat on the other, dry towel. Gently arrange the stocking in the way you would like it to dry. Line up your stitches, smooth out any bumps then let it rest. Leave your stocking to dry. Do not touch it until it's dry! This will set your stitches for the long run. It could take a whole day for your stocking to dry completely. Now it's time to hang your new stocking! It's ready for Santa to stuff! Thank you to everyone who participated and I hope you had fun making the Stuff It Stocking with us! Be sure to send photos of your finished stocking to me (heather at eweewe dot com). Join on Instagram, Twitter and Facebook with #stuffitkal. Or... leave a comment below! Happy knitting!